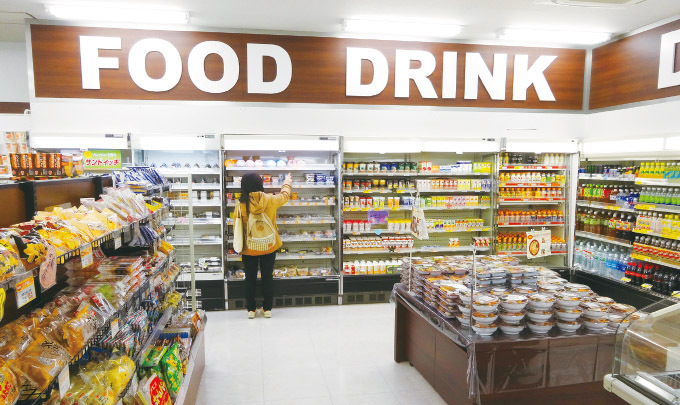 Providing a comfortable for the members to shop with the variety of products and wide passage. In April 2014, Learning Agora was built as an extension of the current co-op dining hall. Learning Agora is established by the university as a space for students to have lunch during lunchtime and a place free to use by the students otherwise. Since the birth of Learning Agora, the dining hall seat number substantially increased from 360 seats to 500 seats. The overcrowding problem during lunch is greatly reduced. Along with the extension of Learning Agora, we also asked the university to expand the general store space. 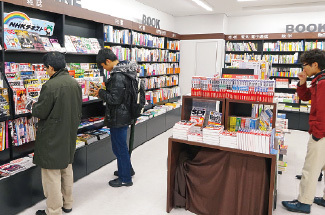 As a result, the bookstore and service counter that were once located on the second floor are now being integrated into first floor with the general store. 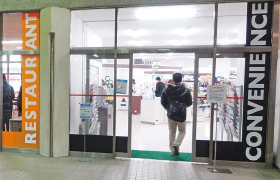 Thus, the co-op store was reopened on September 22, 2014. 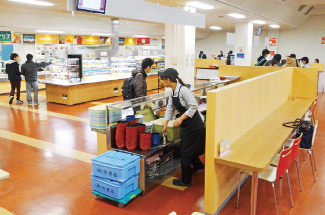 Since the co-op store was divided into first and second floor, it was difficult for the members to use the store. 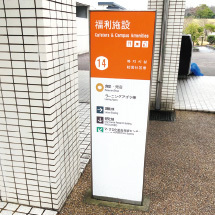 We hope that this renovation will invite a lot of members to use the co-op. 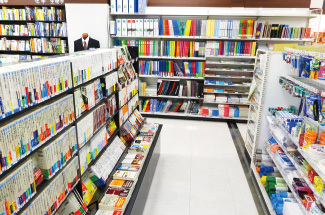 We stocked many kinds of stationery and books. The display of books for practical purposes and books for job hunting preparation makes it easier for members to find a book they want. Students will find the increased floor space. Now they can use the dining hall not only to eat, but also to learn and interact with other students. Here, we provide a variety of meals and desserts. Counter seats welcome anybody who comes alone. 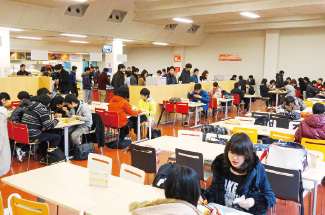 Iizuka Dining Hall was re-opened in April 2014. 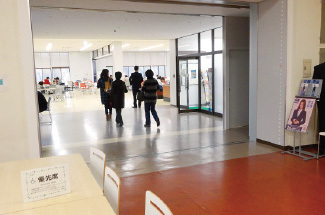 Iizuka Store was re-opened in September 2014.